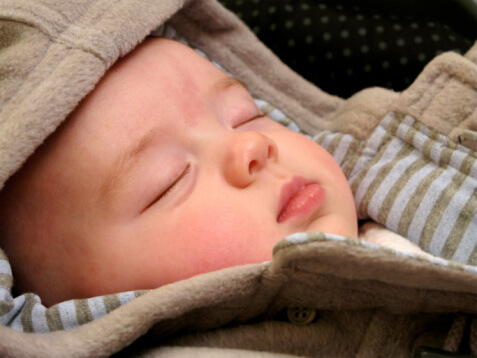 A seven-month-old boy has had a cold for three days. Last night he woke up screaming, and remained irritable for several minutes even when he was picked up. He felt hot to the touch. This morning, he seems completely fine. Bravo, Holmes! Congratulations! This lad’s story is the most common story for an ear infection: an upper respiratory infection for several days, followed by a sudden increase in irritability, often accompanied by a fever. Because of the pain, being held by his parents is only partially comforting. Even though he is feeling better the next morning, this is a child whose eardrum should be examined. Otherwise, he will probably be feeling even worse tonight.